BEVERLY, MA--(Marketwire - January 18, 2011) - Morrison Remodeling & Repairs LLC, a leading residential remodeling company based in Beverly, Massachusetts, is pleased to announce company Principal Gary Morrison is the newly appointed President of the Eastern Massachusetts National Association of the Remodeling Industry (EM NARI) for 2011. With 210 members, EM NARI is a not-for-profit trade association committed exclusively to enhancing the professionalism of the remodeling industry and providing ethical and quality service to the region's remodeling homeowners. Representing full-service remodeling contractors, design-build firms, architects, designers, subcontractors, product manufacturers, distributors, wholesalers, and those who provide services and products to the remodeling field, NARI stands as the spokesgroup of the industry and an ally to the nation's homeowners. Gary Morrison is a life-long resident of Beverly and established Morrison Remodeling in 2001 as a one-man operation. 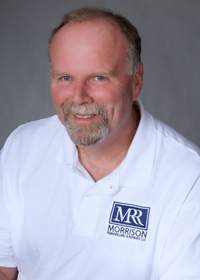 Within nine short years, his business tripled in size and Morrison Remodeling quickly became known as a firm that offers exceptional workmanship and excellent customer service. Prior to starting his own company, Morrison worked for over 30 years in a Fortune 500 company. His strong background in finance as well as construction are tools he attributes to growing his own business as well as ones that will benefit him in his new role as president of NARI. "I've always been active in EM NARI, having served on the Board of Directors as well as in the position of Chairman of the Membership Committee this past year. I am honored to be this year's President and look forward to becoming the voice of this great organization and doing my best to represent the membership," notes Gary Morrison. "I believe in NARI because of what it stands for: quality, ethical behavior and education. When you hire a NARI professional, you can be assured that they are licensed and fully insured and live up to a strict code of ethical standards. These are principles I built my company on and ones NARI fully represents." Gary Morrison is available for interviews, quotes or statistics on remodeling and the home construction industry. Morrison Remodeling is located at 13 Windsor Road, Beverly, Massachusetts. For more information call (978) 927-2005, or visit the company website at www.morrisonremodeling.com. Press inquiries; please contact Joanne DiFrancesco, JDCommunications, Inc. at (781) 828-0323 or visit the company website at www.jdcomm.biz.